Frankincense essential oil has been around since ancient times and has been long respected as one of the most beneficial oils. Because it’s so versatile in its ability to treat numerous ailments, it’s often called the “king” of essential oils. It comes from the Boswellia tree and has a subtle woody scent that offers many aromatherapeutic benefits. It’s also used on skin to enhance beauty, fight aging and heal wounds. As a natural medicine, frankincense oil has the impressive ability to modulate the body’s regulatory systems that control pain perception, hormone levels, inflammation and the immune response. Why did ancient peoples deem frankincense to be such an important medicine? 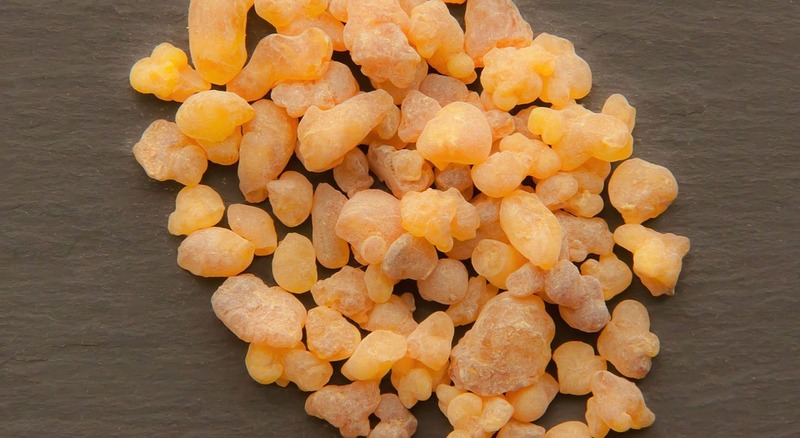 Here are 8 benefits of frankincense oil proven by modern research that explain. Frankincense essential oil crosses the blood-brain barrier when you inhale it, which is why it’s able to directly alter hormone levels. It modulates the TRPV3 channels of the brain, which control vascular tension, temperature perception and other “fight-or-flight” stress response factors. In effect, it lowers your heart rate, blood pressure and feelings of stress or anxiety, acting as a mild sedative . By balancing hormones and boosting brain health, it makes you less prone to anxiety, panic attacks and insomnia. You can apply it safely to your skin without the need to dilute it. Massaging 2 or 3 drops into your temples and neck is a quick way to fight stress or anxiety when you’re on the go. Or, you can diffuse it in an essential oil diffuser to get the benefits of it at home. Frankincense oil could be a drug-free alternative to sleeping pills. Because it has sedative effects, diffusing it or massaging it into your feet before bed can help your body wind down for bed. It calms your mind and emotions, which can reduce thoughts that keep you up at night. Frankincense oil also activates the body’s healing responses, promoting a better quality of sleep. As an immunomodulator, frankincense oil down-regulates your immune system’s response to perceived threats, including allergens like pollen, dust and pet dander. According to studies, a plant chemical found in frankincense oil called alpha-pinene prevents allergic reactions and even lowers your risk of developing asthma . The expectorant and decongestant properties of frankincense oil can also help manage symptoms of allergies and hay fever. Used topically, frankincense oil can treat virtually any skin condition, so you can apply it to the site of hives and other skin reactions. Boswellic acid, one of the many therapeutic compounds in frankincense oil, has powerful anti-inflammatory effects. It also boosts circulation to help inflamed tissues heal faster. Because it has no side effects, applying frankincense to aching joints or sore muscles could potentially reduce your need for pain medication. Research shows frankincense oil has antimicrobial effects, making it a safe and natural option for keeping minor wounds clean . Applying it to a cut, scrape or bruise promotes faster healing by stimulating new tissue formation, reducing inflammation and improving blood flow . In addition to treating skin ailments like allergic reactions and wounds, frankincense oil also has an impressive array of beauty applications for your skin. It counteracts the appearance of aging by adding moisture, which keeps the skin cells plump and allows new cells to generate more quickly. Frankincense oil also increases your skin’s elasticity, which is its ability to maintain its form after stretching. Meanwhile, it boosts the production of collagen–the structural protein responsible for your skin’s firmness and strength . Frankincense essential oil is an amazing facial tonic, as it promotes an even skin tone, shrinks large pores, treats acne and nourishes your skin with antioxidants. You can also use it on other parts of your body to diminish stretch marks and scars. Frankincense essential oil can help with a host of gastrointestinal problems. It works by boosting the production of digestive enzymes, speeding up digestion and relaxes the muscles involved in digestion. Adding one or two drops to a glass of water during a meal can improve digestion and prevent stomach aches, indigestion, bloating and gas. It’s also beneficial for people dealing with chronic colitis, ulcerative colitis, Crohn’s disease, irritable bowel syndrome or inflammatory bowel disease. To help with cramping or abdominal pain, massage a few drops of frankincense oil onto the site of pain. Frankincense essential oil is shown to balance the production of estrogen in women when it’s inhaled . By normalizing estrogen levels, it can regulate menstrual cycles and alleviate symptoms of PMS, like headaches, breast pain and mood swings. Applying it topically to your lower abdomen can help with menstrual cramps and bloating. Research shows when taken internally, frankincense oil prevents the formation of cysts and tumors in the uterus. Frankincense oil can be used as a natural ingredient in homemade oral health products, including toothpaste mouthwash. It fights bad breath and prevents cavities by killing bacteria. Apply it to toothaches and swollen gums to kill germs and promote healing. Using a cotton swab, you can put frankincense oil onto a canker sore once every hour or so until it disappears. The astringent, anti-inflammatory and antimicrobial properties in frankincense can clear it up without the need for over-the-counter medicine. Frankincense oil is a versatile oil with many uses and a soothing aroma, making it a mainstay in alternative medicine and natural beauty care. Make sure you buy 100 percent pure frankincense essential oil, especially if you plan to ingest it. Avoid fragrance oils or perfume oils, as these diluted products contain toxic ingredients and won’t give you the desired health benefits. Frankincense oil is safe for topical use, but it can be toxic when ingested in larger doses. As a rule of thumb, don’t take more than 3 drops of any essential oil per day, as they are highly concentrated.